Last summer, I had a conversation on the topic of religious liberty with a dear priest friend who is a very accomplished moral theologian and seminary professor. He’s one of very few people I know whose rock-solid orthodoxy, knowledge and insight make him a reliable guide in all matters Catholic. That being the case, I was surprised to discover how little familiarity he had with the relevant papal magisterium of the centuries prior to Vatican II, and how comfortably he repeated the well-worn and utterly unsustainable mantra suggesting that the Church’s traditional approach to church-state relations was somehow pigeonholed to a specific, and long since passed, moment in history. The reality is, however, it is far more unusual to encounter any Catholic, clergyman or otherwise, regardless of background, education and relative orthodoxy, who possesses any meaningful awareness of the pre-conciliar magisterium on this subject, or most any other for that matter. This, I suspect, is the case for a number of reasons. Firstly, for as often as we hear about the need to apply a “hermeneutic of continuity” to the conciliar text, there is very little in the way of faith formation resources, or even basic instruction, available to the average Catholic who wishes to explore the magisterium of the centuries prior to Vatican II. This lack of foundation is arguably just as evident in many seminaries, as a disproportionately small amount of time is spent imparting the magisterial treasure of the centuries predating the Council. Lastly, it is perhaps a predictably American mindset to consider anything other than the very familiar, pluralistic, U.S. Constitutional approach to religious freedom (the same that was adopted by the Second Vatican Council) as outdated and irrelevant. This brand of shortsightedness isn’t limited simply to those living in the United States, however. For instance, Catholic News Service recently posted a video on its blog wherein Bishop Athanasius Schneider, the auxiliary bishop of Astana, Kazakhstan, who has become a globally respected champion for the restoration of reverence before the Most Holy Eucharist, discusses the Declaration on Religious Freedom of Vatican II, Dignitatis Humanae. I have a great deal of respect for His Excellency and applaud his efforts with regard to Holy Communion, but in this case, he’s well off the mark. Yes, the popes of that time did intend to refute those who sought to eliminate the Catholic State (whereas today we discourage the very notion of the Catholic confessional state), but their teaching was not so narrowly focused as this; rather, it was directed toward every nation and every people. Secondly, Bishop Schneider goes on to address “religious liberty in the 20th century” with a similarly narrow focus; one that is equally as inaccurate. This, according to the Bishop Schneider, is how we should understand the “intention of the Council” and the aim of Dignitatis Humanae. There are a number of major problems with this kind of thinking. For one, we most certainly do not have saving human dignity in common with the atheist. An atheist, by definition, is an enemy of human dignity, even if only by ignorance. 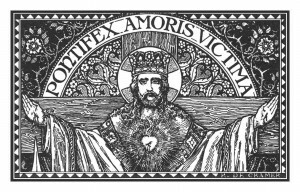 What we have in common with the atheist is the fact that we are subjects of Christ the King, in spite of the unbelievers’ inability (or unwillingness) to recognize as much. Secondly, it is an affront to truth to even suggest that human dignity is in some manner upheld, expressed or developed through the practice of just any religion. The “demand” of human dignity in this regard is better understood in light of the first demand of justice; to render unto God the worship that He is due; not as we see fit, but in truth as He Himself has established. There is only one way. Lastly, a cursory reading of Dignitatis Humanae is enough for one to discover that its exhortations are directed to all the nations of the world, not just atheistic, communist regimes. Beyond that, simple observation alone indicates that the decree has been largely understood by the popes of the last fifty years as a mandate to eschew mission in favor of a highly secularized version of religious diplomacy. In short, religious freedom as conceived at Vatican II is, and ever has been, far more than just a program for evangelizing the Eastern Bloc nations of the Cold War era. Furthermore, the intentions of John Courtney Murray, the architect of Dignitatis Humanae, were not at all motivated by a concern for the Church in Communist lands; rather, he was very much obsessed with the marginalization of Catholics living in the United States, a country whose electorate and political power structure were dominated by Protestants. Murray, in other words, mistook the blessed persecution that Jesus promised His Church with a crisis to be averted by compromise. In any case, the results of the program put in place by Dignitatis Humanae are plainly evident. The prelates of the Church have voluntarily relinquished those unique claims that are properly her own based on the Social Kingship of Christ, relegating “Thy Kingdom come” to the realm of the strictly escatological, teaching and preaching as though the Catholic State is no longer even desirable, and it is entirely inaccurate to suggest that a simple misunderstanding of the intention of Dignitatis Humanae is to blame. Indeed, the exact opposite is true. Until the leading voices in the Church cease paying lip-service to the notion of “continuity” and ground their own understanding of the conciliar text in the papal magisterium predating Vatican Council II, rest assured, apart from Divine intervention, the Bark of St. Peter will continue to get tossed about on the stormy seas of modernism, just as it has for lo these past forty years.